In origami, tweezers are sometimes used to access points hidden inside a model, or to make folds on small paper. 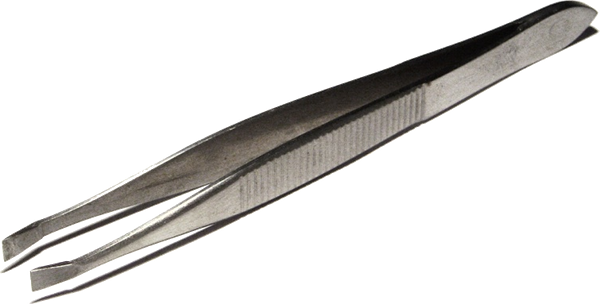 Image taken from https://commons.wikimedia.org/wiki/File:Tweezers.jpg, removed background and scaled. Permission is granted to copy, distribute and/or modify this document under the terms of the GNU Free Documentation License, Version 1.2 or any later version published by the Free Software Foundation; with no Invariant Sections, no Front-Cover Texts, and no Back-Cover Texts. A copy of the license is available at https://commons.wikimedia.org/wiki/Commons:GNU_Free_Documentation_License.